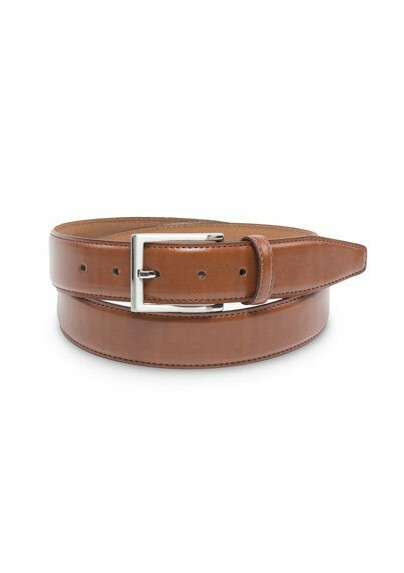 Mont Pellier's bestselling belt style is now available in two more colors: cognac brown (shown) and marine blue. The light brown patina of the fine calf leather looks fantastic with all your blue or light gray pants. 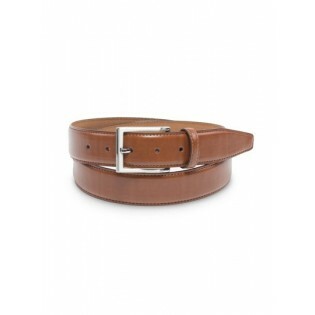 A great belt not just for navy suits but also for more casual jeans.